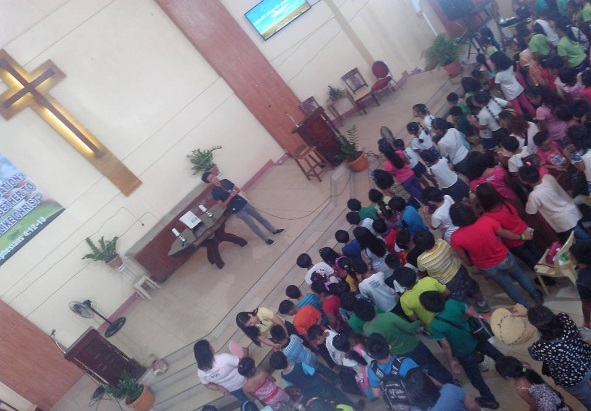 For the first time, our church catered to the Annual Sunday School Children’s Festival of LCSMC last Sep. 12, 2015 from 8am-3pm. This event was attended by almost 470 children with the theme “Museum of God’s Creation”. The Women’s Organization sold some snacks as a way of raising fund for their upcoming Retreat in Bohol next month and also for the kids not to go outside the church premises for security reasons.